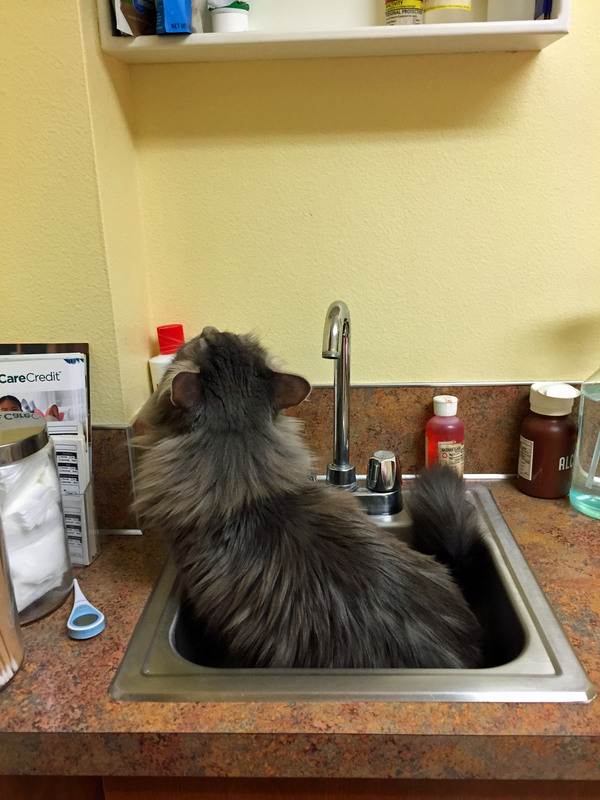 It seems that around my house when it rains, it pours … at least when it comes to animal issues and vet visits. This past week — after already dealing with yet another Cooper-stomach episode — I found myself dealing with a squint-eyed cat. 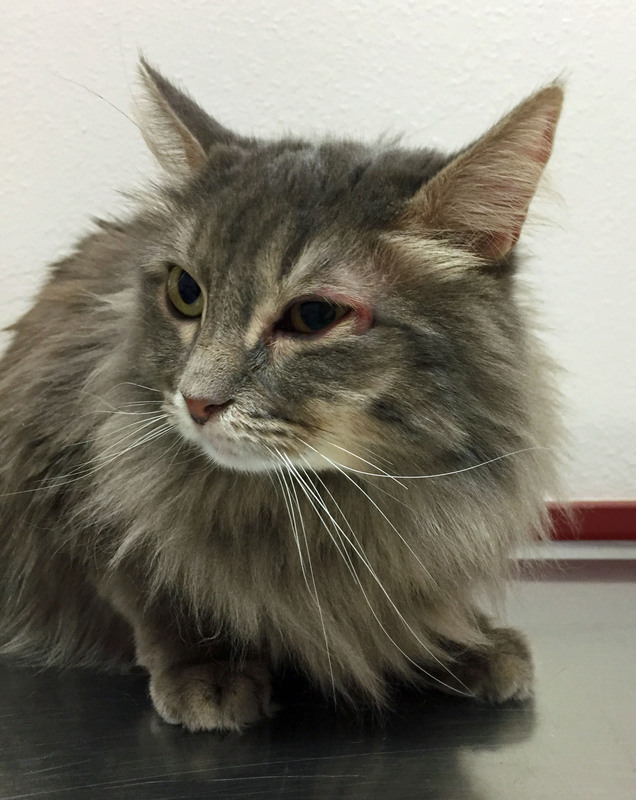 I have come across the issue from time to time with Lilly, who has a tendency to develop allergies in her eyes. 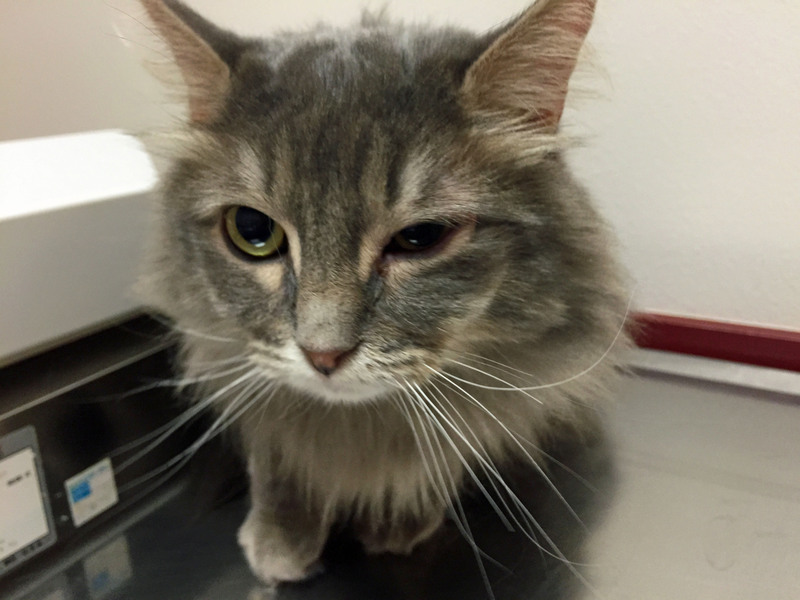 But this squint-eyed cat issue erupted in Zoey, the little girl who is already prone to asthma issues. 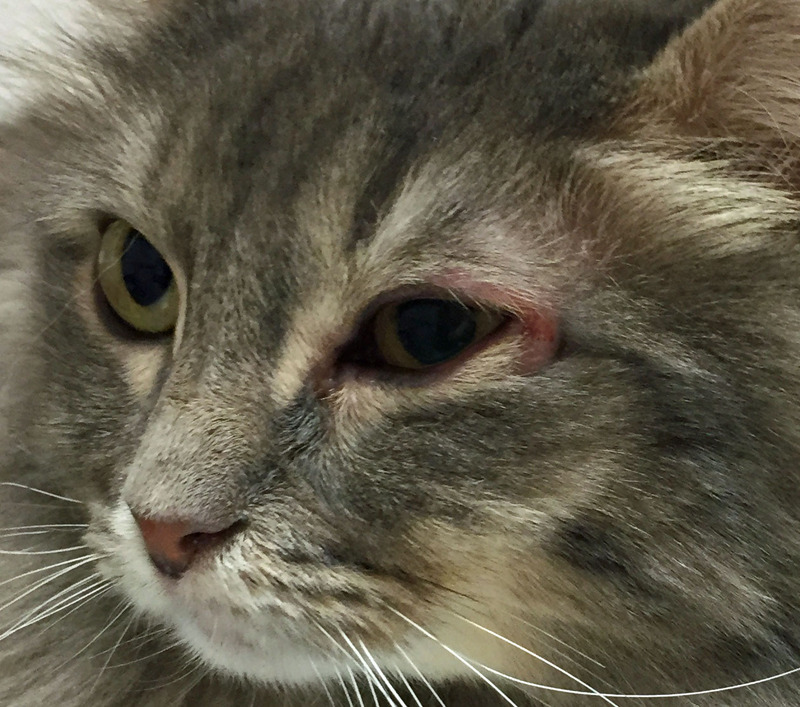 I tried to watch her for a bit, hoping it would clear up by itself, before realizing that the area around her eye was starting to swell. Of course, the realization came on a Saturday. 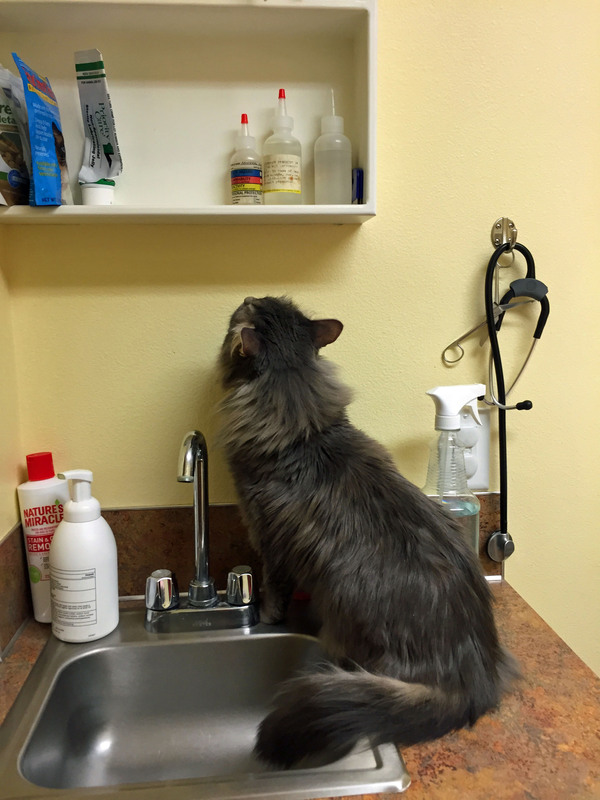 When her regular vet is open only for minor vet visits and couldn’t take the little girl. So, I bundled her up and took her to the closest open vet clinic. Needless to say, she wasn’t happy about it. 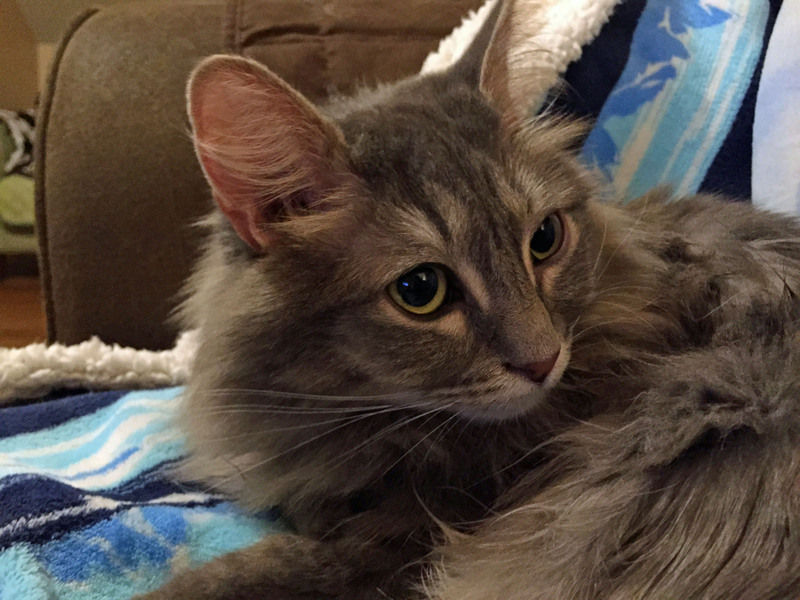 She had to be pulled out of the crate, turned her back to me and leveled a killer glare at the vet tech — all unusual acts for the little girl and clear signs she didn’t feel well. After a thorough exam and a couple of tests, the vet prescribed antibiotic drops and sent us home. At first, I thought they were working. 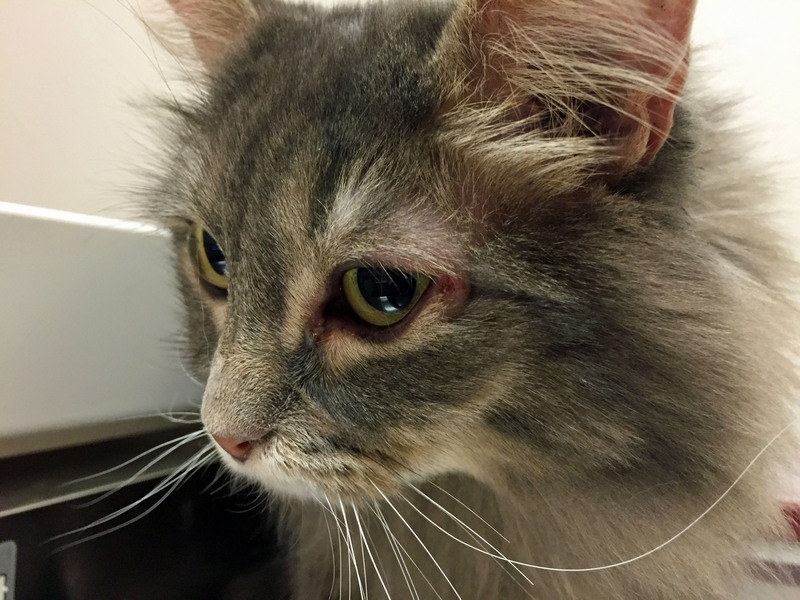 The swelling around her eye seemed to subside and she grew a bit more active. Of course, on the flip side, she suddenly became very cranky and decided that she needed to attack Izzy for no clear reason. 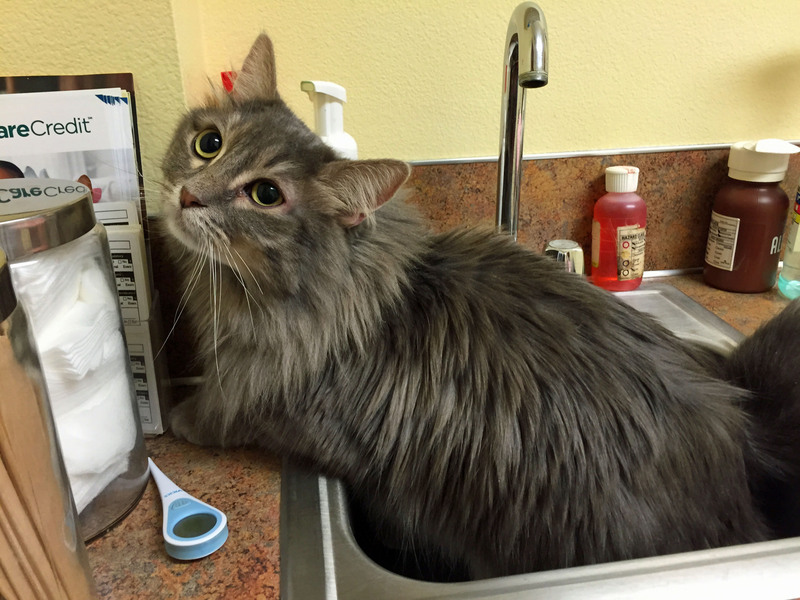 As each day passed, I contemplated whether I should bring her back to the vet. Thankfully, her regular vet is wonderful and called to check in on her, even though she hadn’t seen the little girl over the weekend. After a little talk, we agreed that I would call back in a couple of days if she was still squinting at all. Within a couple of days, I bundled her up in the carrier and had her headed back to the vet. While the swelling wasn’t quite as pronounced, her body was clearly still off. My sweet little girl was irritable and angry and didn’t seem interested in any of her normal antics. 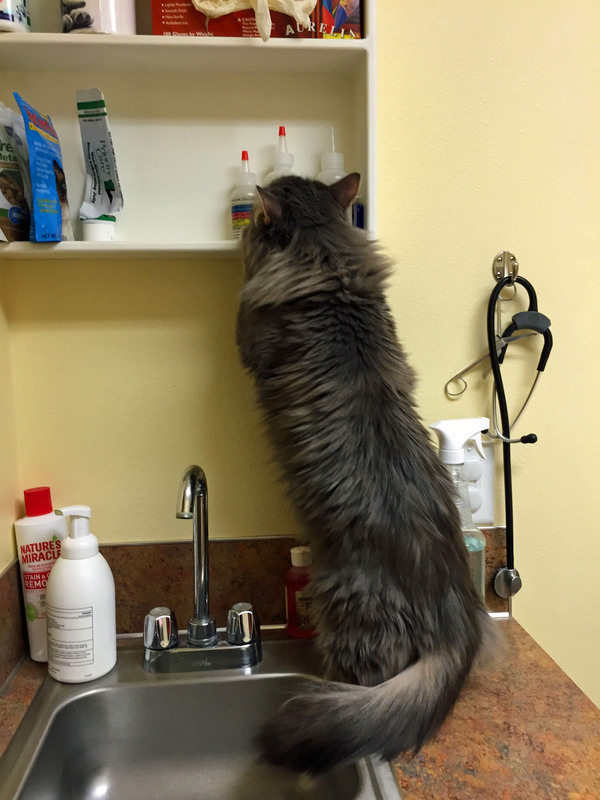 Even at the vet’s office, which she normally likes to explore with wild abandon, she could barely muster a mild interest in the shelves on the wall before settling in the sink and drifting off to sleep while we waited for the vet to arrive. 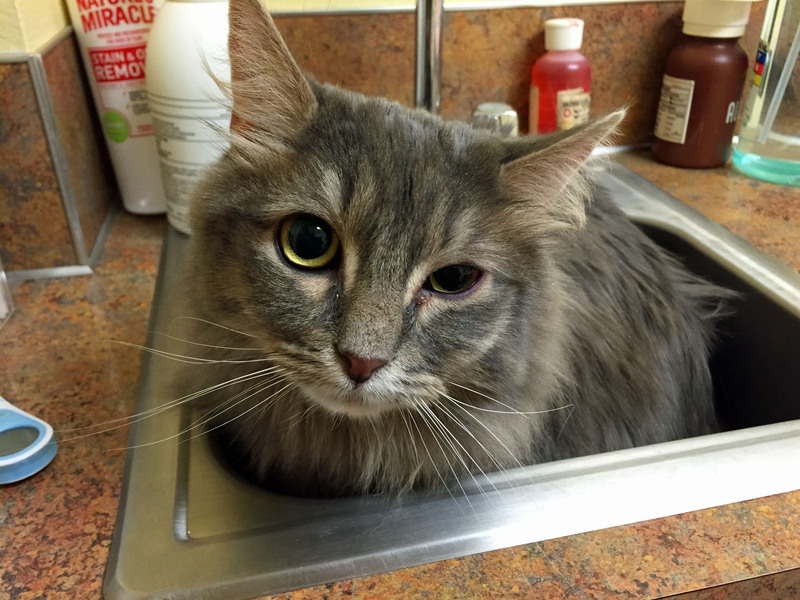 What the vet discovered was that while the eye had looked better for a short period, a deeper infection was clearly setting in. She was running a temperature and the swelling around her eye was even more pronounced. So, after a second thorough examine in a week, we traipsed home with two additional prescriptions and instructions to keep administering the antibiotic eye drops. Coupled with the two prescriptions she already has for asthma, she is now on more medicine than Cooper is. At least for a short time. The good news is that the medicine seems to be working. After only three doses of the oral antibiotic she received, she has already returned to her normal, happy self and she is squinting a whole lot less. Here’s to a fully recovered Zoey.